– Have you tried putting it on the rear rack? 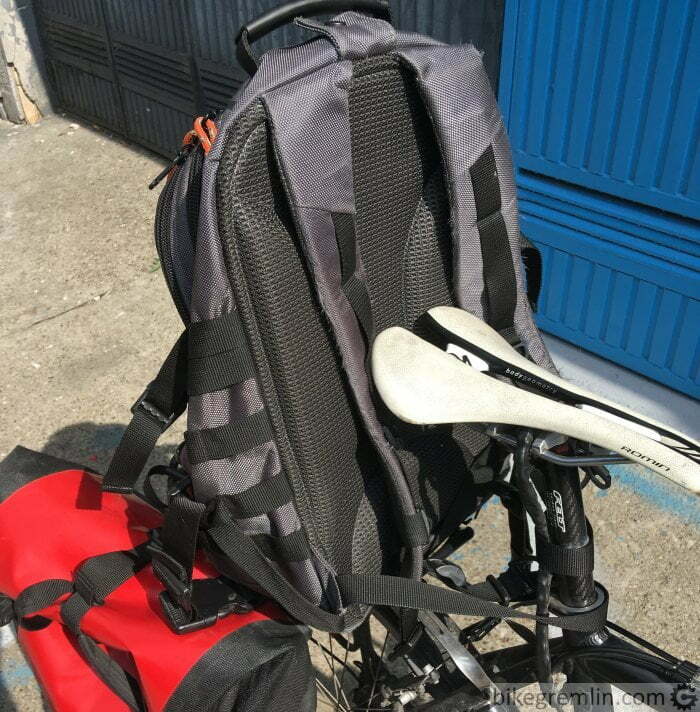 That is why here I’ll explain, with pictures, how to mount a backpack (and panniers) onto a bicycle rear rack. 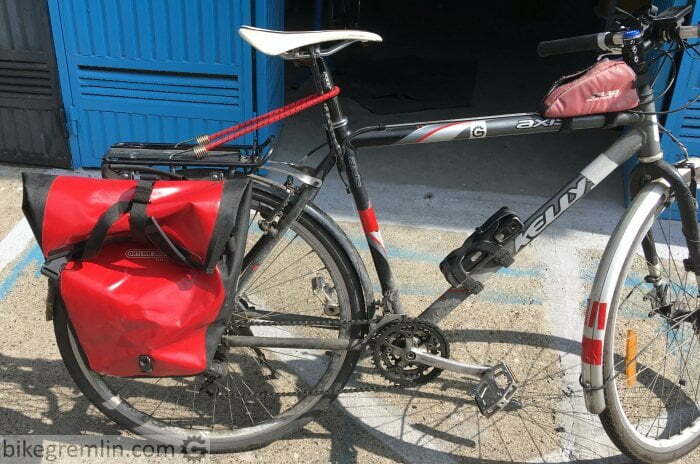 For mounting panniers on a bicycle, one needs a rack that is designed to take panniers. 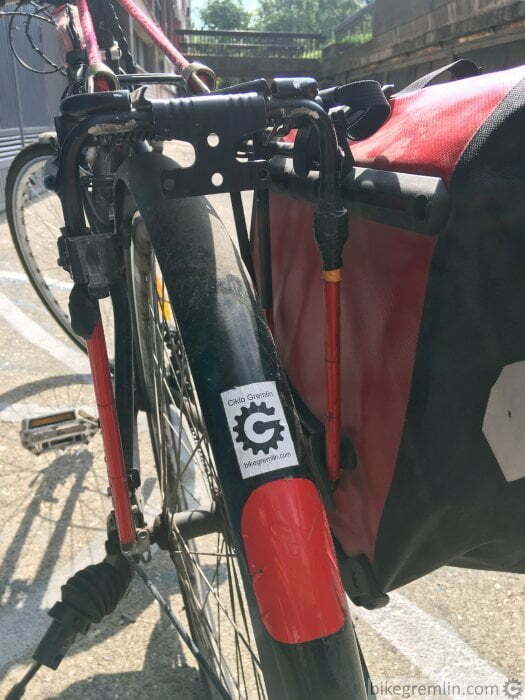 Such racks have sides designed to support panniers, preventing them from getting into the spokes. 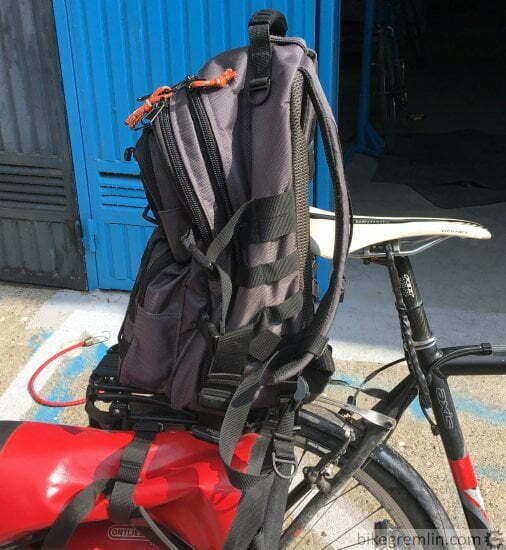 Good ones have pannier hanging rails placed a bit below the top side of the rack – so both panniers and a backpack/bag can be mounted at the same time. Rack in the pictures below is no longer made, but the “current” most similar model is Topeak Uni Super Tourist DX (Amazon affiliate link). It is made in a version for bicycles with disc brakes as well. Model in the pics has also a spring loaded… “thing” (not sure what it’s called in English), that is not necessary, but comes in handy – for paved roads it is often sufficient so bungee straps are not needed. 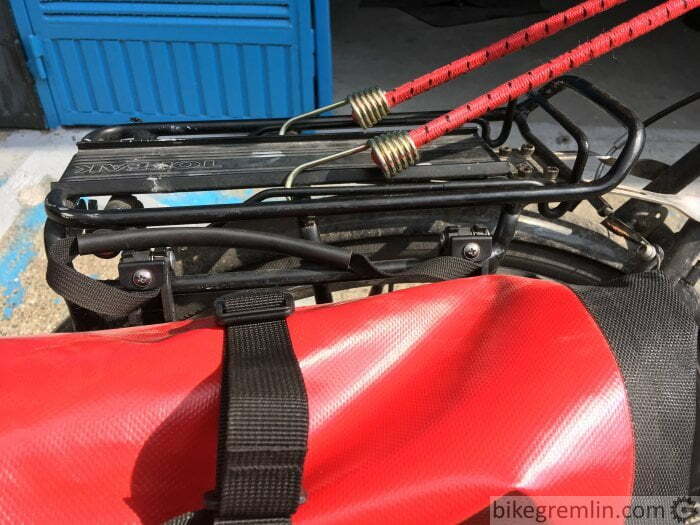 Principle is the same for mounting the other pannier. 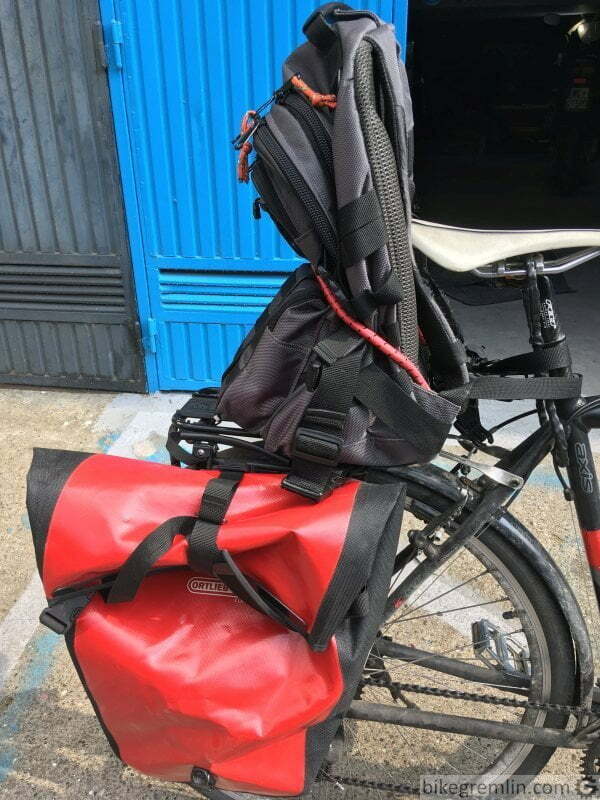 The one in the picture is Ortlieb (Amazon affiliate link) – durable, waterproof and with very convenient patents for mounting, dismounting and carrying around – I’d recommend it. 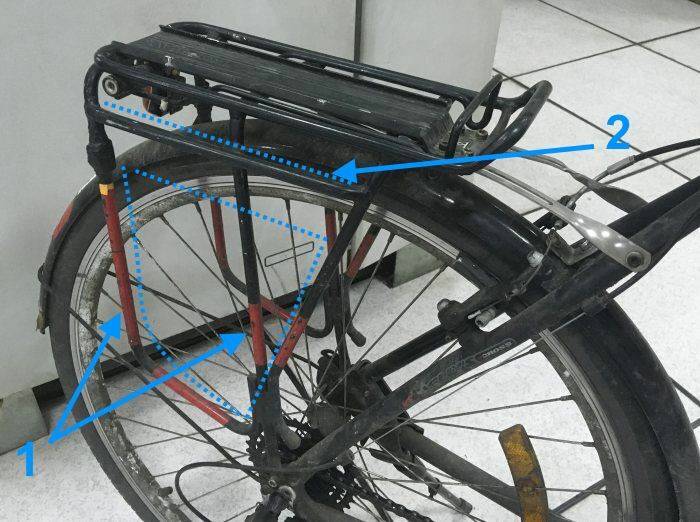 There are various types of pannier mounting patents. 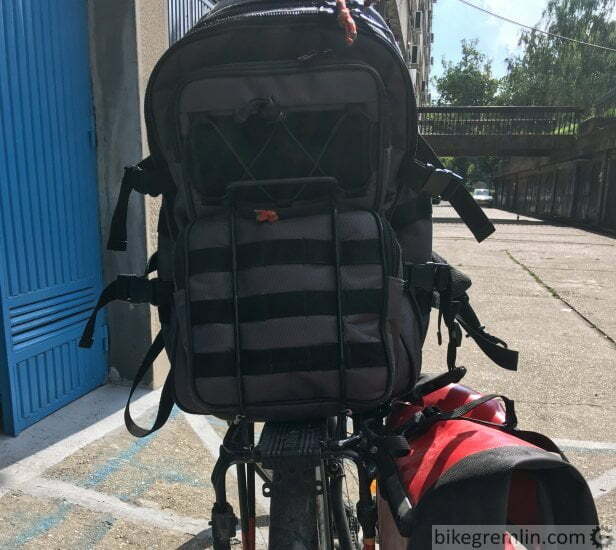 Some come with hooks, some have stripes to be thrown over the rack – in which case one must always mount both panniers. They all benefit from the above noted rack design that lets them sit a bit lower and further “out”. Here I’ll show how to mount a backpack on a rack. The method shown has proven as very stable and secure, even on rough (bumpy) terrain. 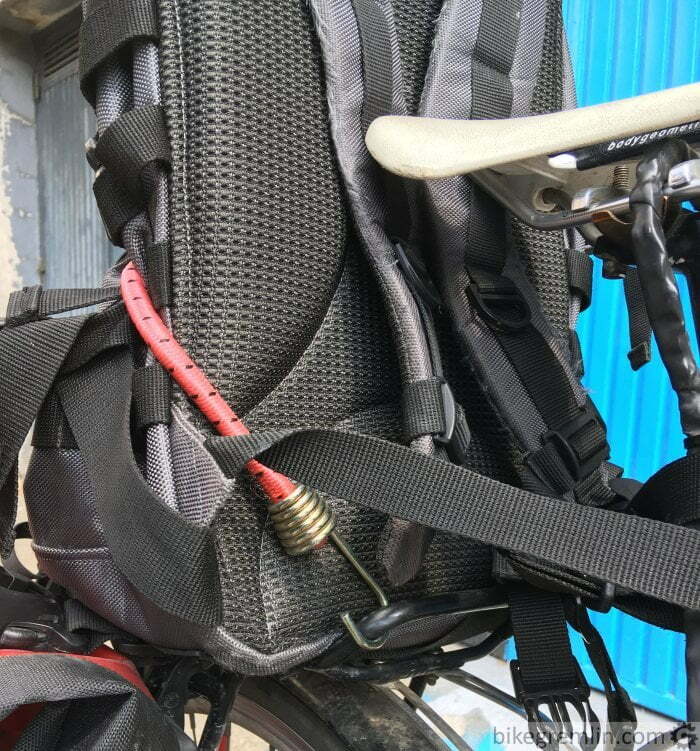 It boils down to leaning the backpack against the saddle and securing it with a rubber bungee cord (Amazon affiliate link) to hold it in place. 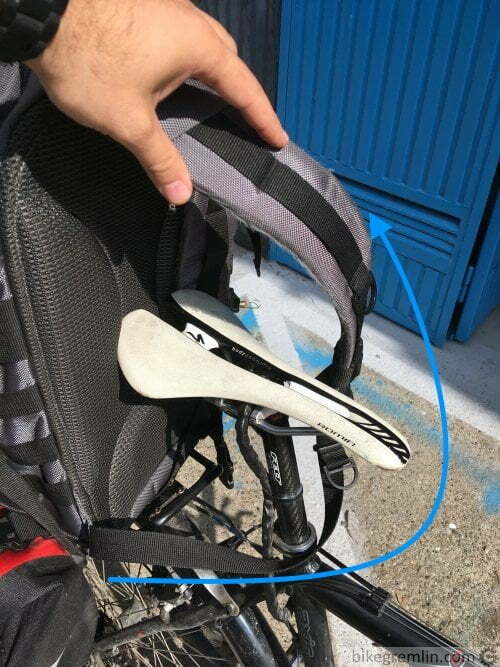 Start by placing the backpack straight up, leaning its back side against the saddle. Next step is placing straps over the saddle – criss-crossed. 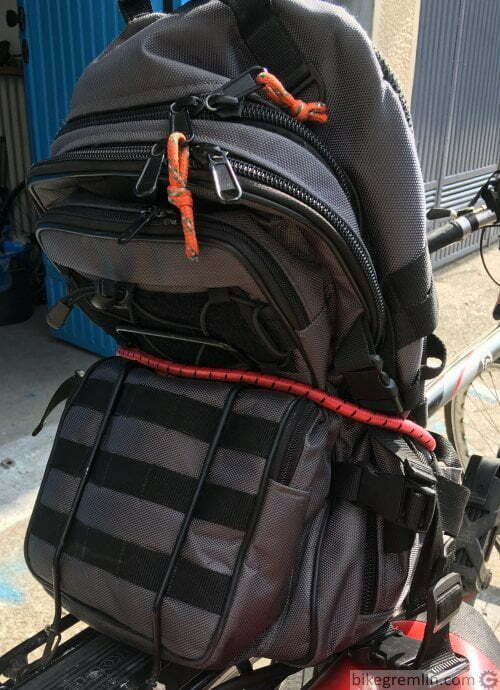 All that’s left now is to secure the backpack with a bungee cord.